Sabrina at The Year of The Pumpkin arrived late posted a journal challenge last month on her blog and I decided to take part. I didn't stick to the days as I couldn't so did what I could when I could which is why I haven't had time to do anything else. I've enjoyed it and I hope that you do in learning more about me. I will continue to post my projects on a Friday so you'll have to sit patiently until them. Day 1: Create a full day design introducing yourself. As I bought a journal with too many pages I've added in some extra bits just to fill some of them up. You'll have to excuse any mistakes that I've made though! I've tried to stick to a similar theme of bubble writing title, calligraphy pen writing and drawing as well as adding in a few of the Instagram photos that I have taken. 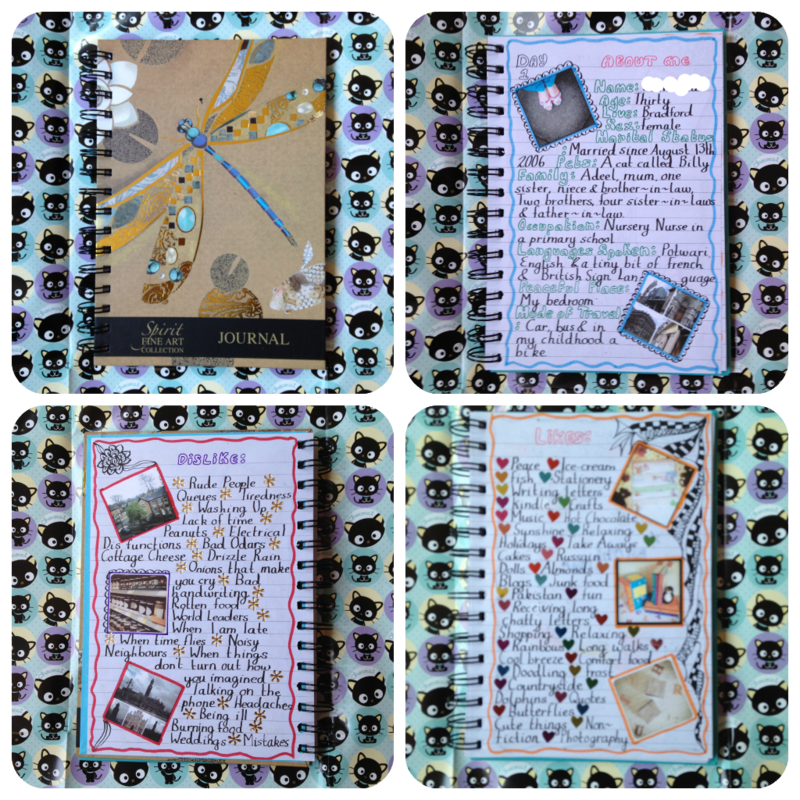 If you have any journal ideas that you'd like to do but need a partner let me know as I had so much fun doing this one that I've bought some books to do more. Are you working on any thing at the moment? This one was with prompts for 30 days but I don't see why you couldn't add more if the ideas are there. I also had to think about the weight so took the extra pages out.